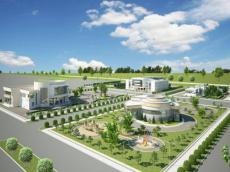 The grace period for residents of industrial parks in Azerbaijan may be extended and relevant proposals have been sent to the government, a government source told Trend. Currently, residents of industrial parks in the country receive various benefits for a period of 7 years. The new proposals provide for an extension of this period to 10 years. They are exempt from taxes on real estate, profit, land tax and value added tax on imported equipment. The government, represented by "Sumgayit Chemical Industrial Park" CJSC, also provides residents with the necessary infrastructure. The source noted the reasons for the extension of the grace period, then added, that under the law residents can enjoy benefits from the moment of registration in the industrial park, but in fact some benefits, such as exemption from income tax, become available only after the completion of the construction of resident plants - after 2 or 3 years. "In other words, it turns out that residents enjoy all the benefits not for 7 years, but only for 4 or 5 years. Therefore, it was proposed to extend the grace period to 10 years," he said. All industrial parks in Azerbaijan operate under the "Sumgayit Chemical-Industrial Park" CJSC. The country has 5 industrial parks - Sumgayit Chemical Industrial Park, Balakhani Industrial Park, Garadagh Industrial Park, Mingachevir Industrial Park and Pirallahi industrial Park.